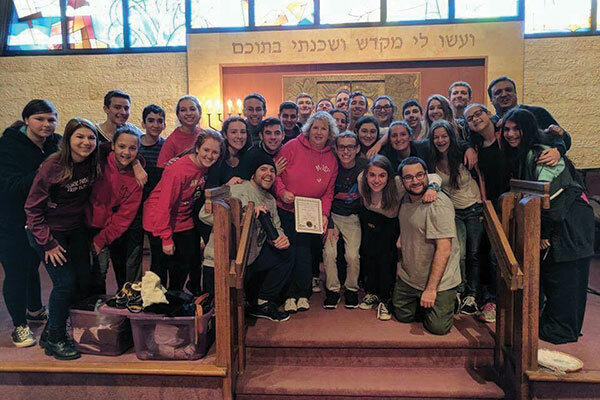 The Marlboro Jewish Center’s chapter and advisers receive the USY’s Chapter of the Year award at Hagalil region’s fall convention in Clark. MARLBORO JEWISH CENTER USY was named national chapter of the year for overall excellence, diversity, creativity, and value of programming. 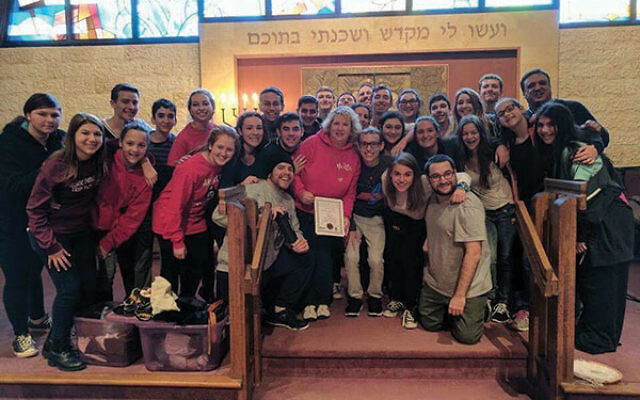 The chapter, known as MUSY, also received three programming awards for excellence in Israel education, social action/tikun olam, and membership. The award was presented by Rabbi David Levy, United Synagogue of Conservative Judaism’s senior director of teen learning at the fall convention of Hagalil, New Jersey’s USY region. The event was held Nov. 18-20 at Temple Beth O’r Beth Torah in Clark. The chapter will receive a banner honoring their accomplishments at December’s international USY convention in Dallas. Award winners were chosen by teen regional presidents and the international executive board. USY is Conservative Judaism’s youth group. With more than 350 local chapters, USY has a membership of thousands of teens throughout the United States and Canada.